Accounting profit is helpful for surviving the business in the worst time. It is just like fuel to go forward. One side business has suffered big loss and other side and business has obtained big sales revenue. Result is nominal accounting profit but still with this profit, we can use as additional capital for reconstructing our business from beginning by forgetting big losses. So, as a new business person, you should learn the accounting profit formula. Following is the simple formula of accounting profit. 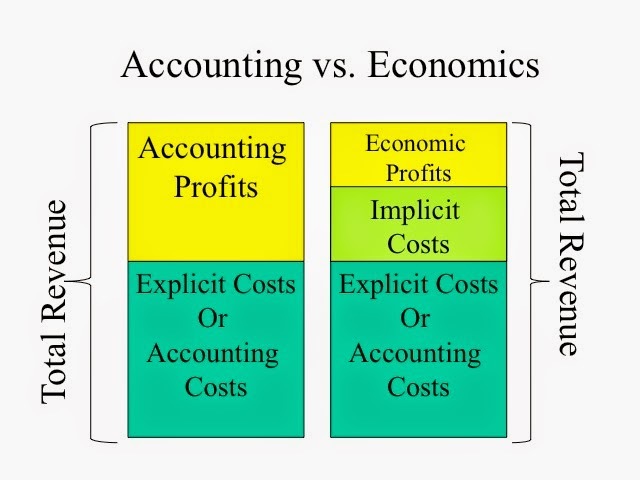 Now, if you want to go more deep, we can classify accounting profit in following categories. = Gross profit - All Operating expenses only. We do not include investing and financing expenses in it. For example, we are paying Rs. 5000 as interest on loan. It is financing expenses. It will not include operating expenses. When we deduct all financial and investing expenses out of operating profit, we will reach net profit before tax. Tax is not deduct this NPBT. In end, we will reach net profit after tax when we will deduct all tax out of net profit before tax. Accounting profit term is used all these four terms. Except this, it is also used for Earning before interest, depreciation and tax (EBIT). Remember : For calculating accounting profit, we do not deduct opportunity cost out of revenue. Opportunity cost is artificial cost. If we do not have the asset, we have to pay but still we do not pay because we have the asset. For example, if we do not have the car, we have to pay Rs. 2000 for travel but still we have the car. So, we did not pay. So, opportunity cost is Rs. 2000 which we did not pay.